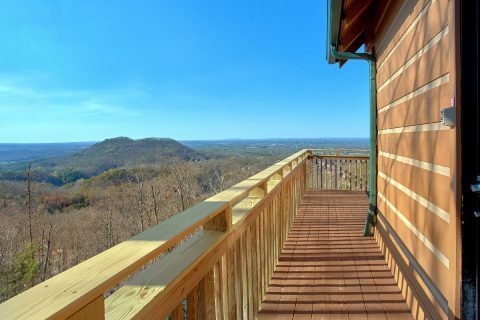 Come stay at "The Overlook," a romantic, 1-bedroom log cabin nestled in the mountains near Dollywood Theme Park and Pigeon Forge, TN! 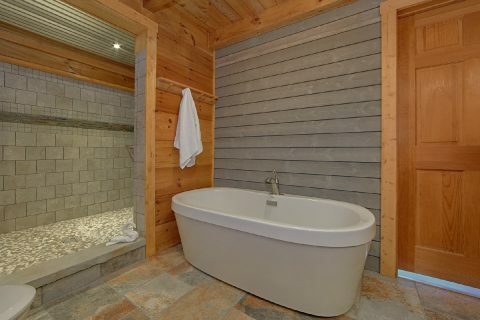 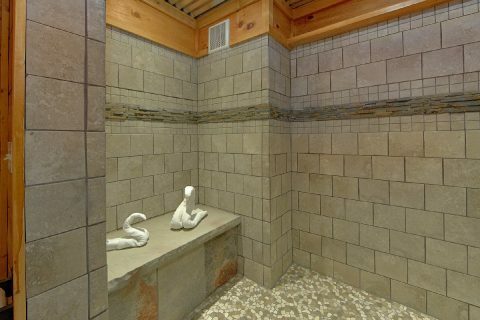 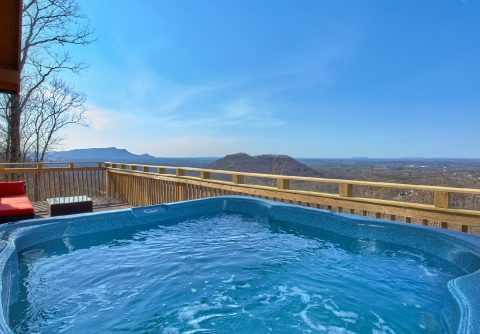 With an inspiring mountain view and premium amenities like a hot tub and pool table, this honeymoon cabin is ideal for couples searching for a peaceful escape in the mountains. 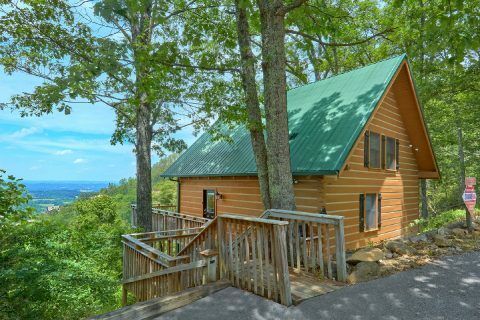 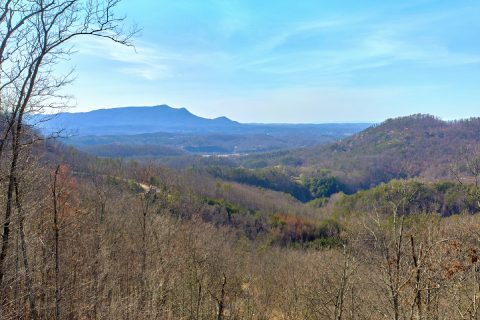 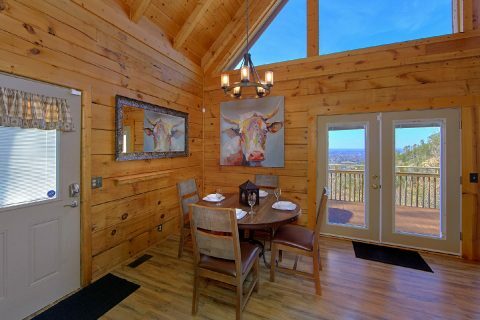 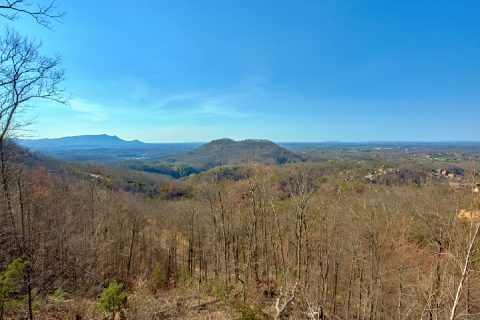 Not only is this cabin located only 5 miles away from Downtown Pigeon Forge, but this rental boasts a gorgeous location with a mountain view that allows you to see for miles and miles. 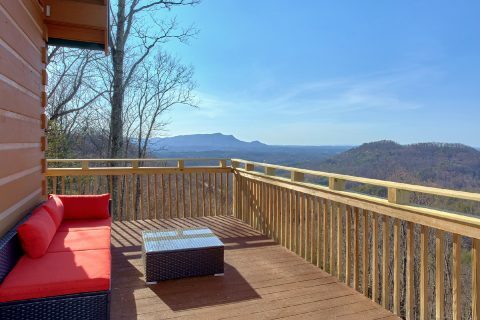 To get the most of your Smoky Mountain scenery, be sure to enjoy sitting out on the deck with a cup of coffee or watch a gorgeous sunset at the end of your day's adventures. 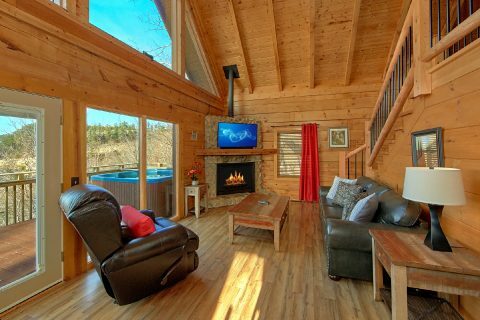 Inside this log cabin in the Smokies, you'll find a comfortable living room area complete with a television and a seasonal gas fireplace. 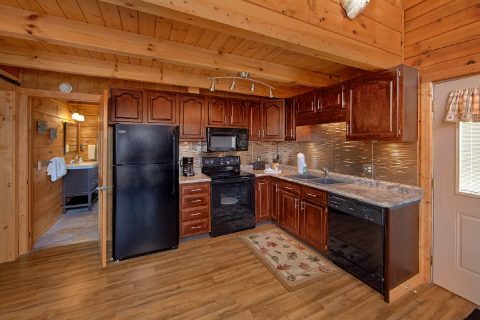 Nearby, the full kitchen offers everything you need to prepare delicious dinners in your cabin if you don't want to make the trip into town. 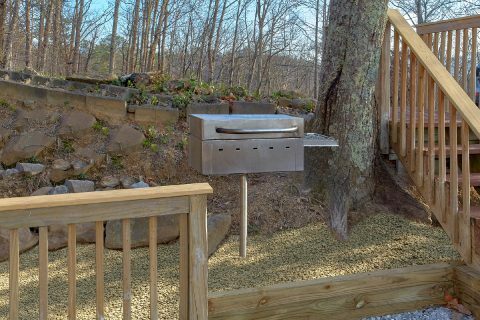 This cabin also features a charcoal grill, so you can enjoy hosting a cookout during the warm summer months. 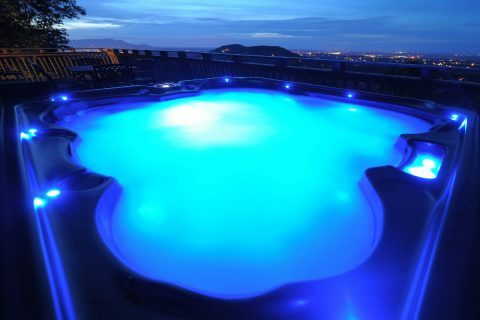 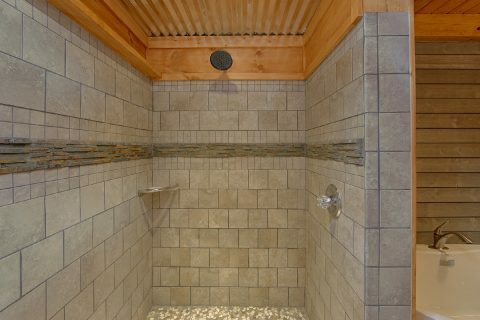 To relax in the evening, take a dip in the outdoor hot tub and count the stars in the Smoky Mountain night's sky. 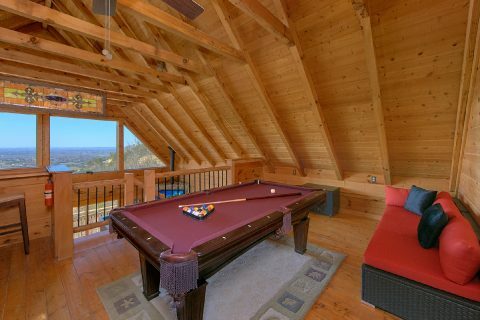 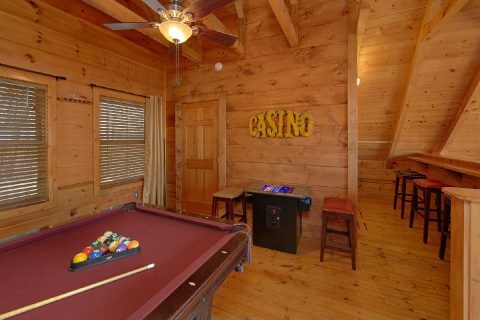 For some in-cabin entertainment, this rental comes complete with a game room with a pool table, so you and your sweetheart can enjoy some friendly competition during your stay. 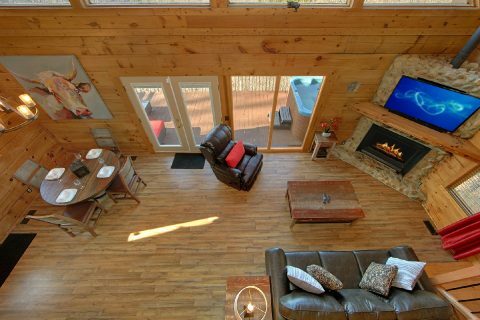 This cabin also boasts WiFi Internet access, so you can easily share pictures of your cabin's awesome view with friends and family back home. 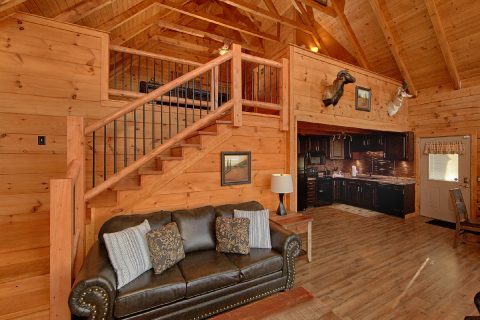 Once you're ready to get some rest, this cabin offers a master suite complete with a king-size bed. 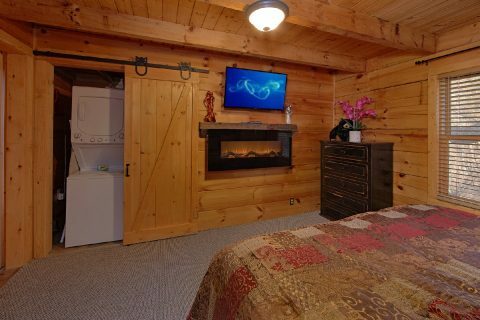 For additional guests, a sleeper sofa is provided, so this cabin can sleep up to 4. 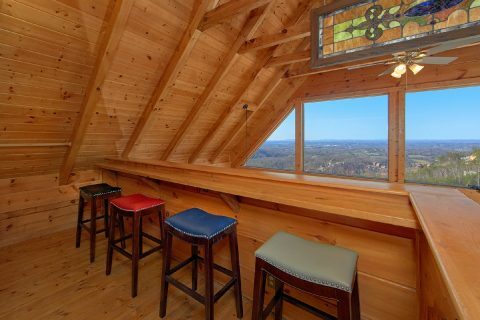 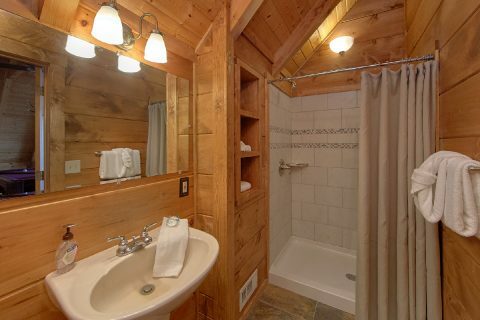 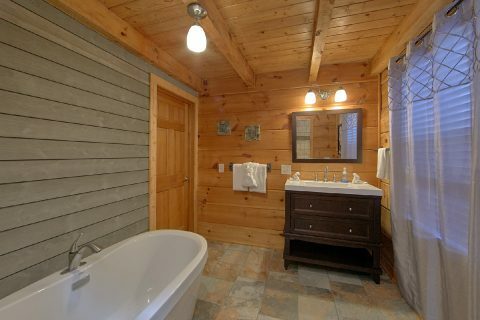 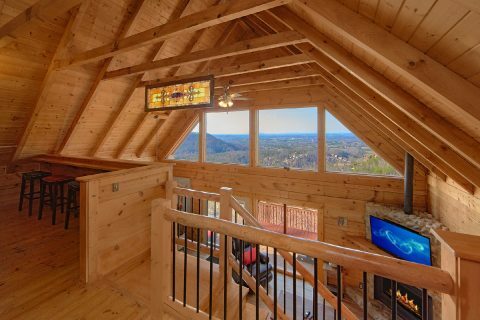 Stay near Dollywood, enjoy a gorgeous mountain view, and connect with your sweetheart by reserving this beautiful cabin in the Smokies! 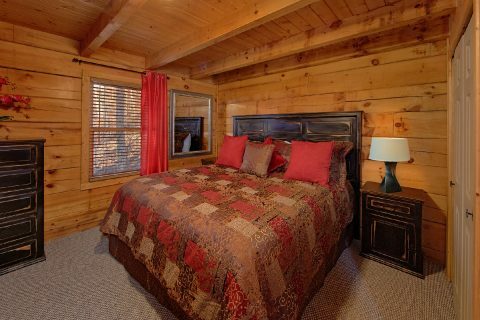 Book "The Overlook" today with Cabins USA to earn a special 15% discount on your nightly rate!